Calyx Audio is a division of Digital & Analog Co. of Korea, a company founded in 1999 to produce class-D integrated circuits. 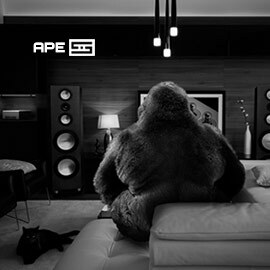 In 2008, the company’s CEO, Seungmok Yi, a music lover and audiophile, decided to mix business with pleasure and produce high-end electronics under the brand name Calyx. When Calyx came up with its first digital-to-analog converter, they named it simply for its product type and resolution: DAC 24/192 ($1950 USD). Recently Calyx launched the Femto, which, at $6850, is now their flagship DAC. For most audiophiles, however, the DAC 24/192 is the more economically relevant component -- which is why I wanted to review it. The DAC 24/192 measures 8.6"W x 1.7"H x 8.6"D and weighs almost 10 pounds (4.4kg), largely due to its chunky, exceptionally well-finished case, which is milled from a solid block of aluminum and comes finished in black or silver. On the bottom are four little rubber feet, to softly contact a shelf. Digital & Analog’s logo is incised in the top of the case. Nice. Some might question the need for such an elaborate housing, particularly when the circuit board inside is so small (see below), but in the audiophile world, casework counts for a lot (think Boulder and Rowland). It’s really hard to say whether such a rock-solid shell truly improves performance, and if so, by how much. But I find it refreshing to see a quality of case commensurate with the price. To protect its fine-looking metalwork, the DAC 24/192 comes wrapped in a soft, blue bag bearing the names of Calyx and Digital & Analog. Most of the credit for the DAC 24/192’s great styling should probably go to Apple. Whether you think the DAC 24/192 looks like a Mac Mini or an Apple TV box, it’s obvious where the inspiration came from. But I guess if you’re going to mimic a look, you’re wise to mimic a company on the leading edge of industrial design. Apple’s simpler-is-better philosophy is also apparent here -- the only thing on the front is an LED whose color indicates whether the DAC 24/192 is locked to a source component (violet) or not (red). The rear panel is more cluttered: single-ended and balanced analog outputs, USB and RCA-based S/PDIF digital inputs, the power-supply connector, and switches to engage the power supply (when necessary) and to select the digital input. 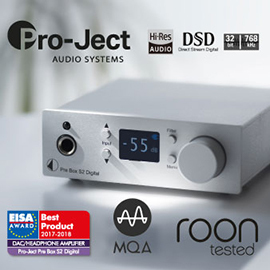 The single-ended outputs deliver up to 2V, the industry standard for DACs and CD players, but the balanced outputs deliver up to 6.8V; I would have expected them to deliver 4V. Balanced outputs are said to slightly decrease distortion, but the higher-than-expected output of these can overload some preamps. That happened to me -- the DAC 24/192’s single-ended outputs were fine into a Simaudio Moon 350P preamp, but its balanced outputs went over the 350P’s 5V limit -- so I used a JE Audio VL10.1 preamp for balanced operation. The DAC 24/192 can run off the power provided by most USB ports, but you can still use its external, 5V linear power supply, which is what I did for most of my listening. (From what I understand, Calyx says that the DAC 24/192 will perform optimally only with the power supply.) But if you use the S/PDIF input, you must use the power supply: S/PDIF connections aren’t powered. An interesting thing: You’d think that the maximum bit depth of something named the DAC 24/192 would be 24. That’s true for the Calyx’s USB input, but its S/PDIF input can accept up to 32 bits -- though I’m not sure how relevant that is, as I’ve never seen a music file with a word length of more than 24 bits. I didn’t remove the bottom panel, but the photos I’ve seen of the main circuit board reveal it to be fairly small -- though nearly as wide as the case, it’s only about one-third as long, and mounted toward the rear, where all the connections are. A small board surrounded by a lot of case won’t impress anyone, but as technology advances and parts get fewer and/or smaller, that’s what happens -- look at the iPhone. In fairness to Calyx, Simaudio’s Moon Evolution 650D DAC-transport ($9000), which I reviewed earlier this year and use as a reference, has a proportionate amount of empty space -- and it has a disc transport. But that little circuit board contains some heady parts. The main DAC chip is ESS Technology’s ES9018 Sabre Reference, a 32-bit design with ESS’s Hyperstream architecture and Time Domain Jitter Eliminator. The Sabre chips are showing up in many of the world’s finest, most expensive DACs, including the Simaudio 650D and the Resonessence Labs Invicta ($3995, reviewed by S. Andrea Sundaram in July). XMOS’s USB 2.0 technology is used for the DAC 24/192’s USB input, which operates asynchronously (i.e., the flow of data is controlled by the DAC’s clock, not the computer’s) and supports sampling frequencies from 44.1 to 192kHz. Two clocks are employed: one for 44.1, 88.2, and 176.4kHz, the other for 48, 96, and 192kHz. For the USB connection, 24-bit/192kHz resolution is supported natively by Apple’s OS X (v.10.6.4 and higher), but Windows XP, Vista, and 7 natively support only up to 24/96. To allow Windows to support 24/176.4 and 24/192, Calyx, like most other manufacturers that use the XMOS USB technology, supplies the Thesycon driver on CD-ROM. This driver supports ASIO output, which bypasses the Windows sound mixer for the purest path to the port, and must be installed before the DAC 24/192 is connected to the computer. As a Windows user, I can tell you that installing the Thesycon driver is quick’n’easy; I’ve never had any problems getting it to work with Windows Vista or 7 (I’ve never tried it with XP). The DAC 24/192’s appearance is superb, if derivative, and its build quality appears first-rate, but two things are lacking. One is a sample-rate indicator -- not a necessity for a DAC, but it’s nice to have; it lets you verify the resolution that’s reaching the DAC from a computer or disc transport. The other is a respectable warranty. Right now, Digital & Analog Co. warrants the DAC 24/192 for one year, which is not nearly long enough. High-end products boast exceptional build quality and high-quality parts, but they also command high prices -- two grand for a DAC isn’t chickenfeed -- and therefore should carry a commensurate warranty. Three years should be the minimum; five years, which seems to be the industry standard, is better. I can live without the sample-rate indicator -- my playback software, JRiver Media Center 17, does an excellent job of telling me what it’s sending to a DAC -- but D&A really needs to extend their warranty to better protect the buyer. A few years ago, it seemed that most of the DACs I was reviewing sounded very similar. Any differences were usually very small and had mostly to do with refinement and resolution; these models were differentiated by their features, build quality, and prices. Things have changed in the last year or so. Features, build, and price still vary considerably, but I’ve noticed that the sounds of the DACs I’ve had here recently have differed quite a bit more than before. Maybe computer audio and high-resolution playback have stepped things up and made manufacturers look at different ways to design their circuits. To cite two extremes: Simaudio’s pricey 650D is the most resolving and clean-sounding digital source I’ve reviewed recently, but its sound is also, by far, the most laid-back -- nothing else I’ve heard sounds quite like it. In my system, it also presented a soundstage that had more depth than I’ve ever heard. In contrast, the Eximus DP1 ($2995), which includes some preamp functionality, sounded far more forward and lively in my system, with starkly defined images that almost leapt from the speakers. The DP1 also presented a credible sense of depth, but its stage was never as deep as the 650D’s. The Calyx DAC 24/192 offered yet another perspective on the music, sounding quite a bit more forward than the 650D in my system but a little less so than the DP1. I found that when a musician is mixed to appear at the center front of the stage, as Bruce Cockburn is in "Pacing the Cage," from his The Charity of Night (16/44.1 FLAC, Rykodisc), the DAC 24/192 placed the performer rock-solid in the center, and pretty close to the front of the speaker plane. The sound from the DAC 24/192 wasn’t quite as immediate as the Eximus DP1’s, but it was close. The DAC 24/192’s soundstage width was as good as any DAC’s I’ve heard, and so, too, was the image specificity within that stage. Greg Keelor’s "No Landing (Lucknow)," from his Gone (16/44.1 FLAC, WEA), has him positioned at the center but noticeably back from the front of the stage. Guitarist Francis Anil is to his left, cellist Anne Bourne to his right. The musicians’ positions on the stage and distances from each other, and the space occupied by each, were easy to discern. The DAC 24/192 wasn’t necessarily better than any DAC I’ve heard in letting me hear these details, but it wasn’t behind any of them. Soundstage depth was also very good, provided it had been well captured in the recording -- although here the Calyx did fall short of the Simaudio 650D, which, as I mentioned, has a more laid-back sound to begin with, and an uncanny ability to project an extraordinary amount of depth. Part of that depth has to do with that laid-back quality, which sets the stage a little farther back as it is, but the other part has to do with the 650D’s sky-high resolution -- it unveils everything on a recording. The DAC 24/192 didn’t reach quite so far into the music, but it got awfully close. Through the 650D, the timpani at the beginning of "Gabriel’s Oboe," from Ennio Morricone’s score for the film The Mission (16/44.1 FLAC, Virgin), sounds dozens of feet back -- way, way past the front wall of my listening room. Through the DAC 24/192, a very strong illusion of depth was still there, and the stage still extended well past the front wall, just not quite as far. Nothing about that changed with hi-rez recordings. Track 3 of our 2L-TWBAS 2012 Sampler (24/176.4 FLAC, 2L/SoundStageRecordings.com) -- Alexander M. Schweitzer conducting the Consortium Vocale Oslo in Crux Fidelis (anon.) -- was presented through the DAC 24/192 with an awesome sense of space that would impress anyone. But the 650D was able to coax just a bit more from this recording, which made it sound even a touch spacier. In fairness to the DAC 24/192, its resolution and depth, though not quite matching the 650D’s, were on a par with those of every other DAC I’ve heard at any price, including the Eximus DP1. Where the DAC 24/192 was quite similar to the 650D and the DP1 was in the bass, where it was just as impactful and forceful, and in the highs, where it sounded just as extended and clean. 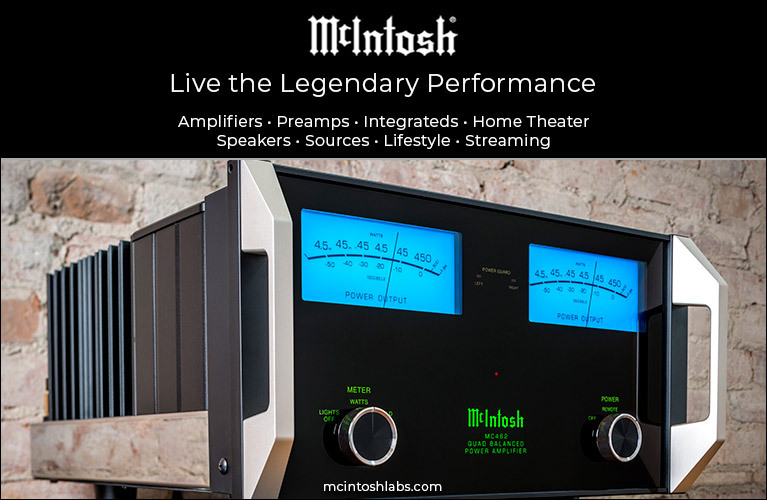 But the highs distinguished the DAC 24/192 from lower-priced DACs. Benchmark Media’s DAC1 models are excellent for the prices (they start at about $1000), but I find their Achilles’ heel to be a touch of hardness in the highs, which can fatigue my ears over time. The DAC 24/192 had no hardness that wasn’t inherent in the recording being played -- and in those cases that hardness was clearly revealed, which is precisely what a highly resolving component is supposed to do. Between the highs and the lows, the DAC 24/192 sounded thoroughly neutral, just like the Simaudio and the Eximus, with the kind of quick, incisive sound I’ve come to expect from today’s topnotch DACs. What the DAC 24/192 didn’t do was romanticize the sound in the ways I’ve heard some players and DACs do -- most noticeably, those with tubed output stages, of which there were plenty some years ago (they seem pretty rare these days). But it didn’t make recordings sound sterile and thin when they shouldn’t have. Basically, what I fed to the DAC 24/192 came out untainted. The DAC 24/192 really held its own in the areas of clarity and cleanness; the result was an undeniably pure sound that showed itself well with women’s voices. I’m not generally a fan of live recordings, and I don’t like to use them for reviewing, but I had to play Loreena McKennitt’s Troubadours on the Rhine: A Trio Performance (16/44.1 FLAC, Quinlan Road) -- in "Down by the Sally Gardens," her voice just soars. It’s not a perfect recording, but it’s very good; when I played it through the DAC 24/192, McKennitt’s voice was projected from the speakers vividly and realistically, with a level of purity that was the equal of the Simaudio Moon Evolution 650D’s. Pianist Freddy Kempf’s recording of J.S. Bach’s Goldberg Variations, a recording of which accompanied the August 2012 issue of BBC Music Magazine (Vol.19, No.11), sounds superb; when I played it through the DAC 24/192, I heard the same combination of precision and purity that I heard when I played it through the DP1 and the 650D. 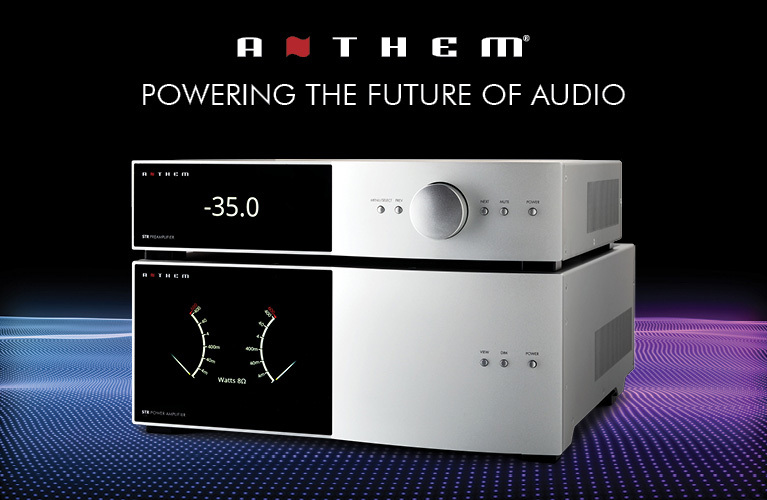 Calyx’s promotional materials for the DAC 24/192 state that its designers focused on getting its distortion as low as possible. Those efforts have paid off handsomely, in a pure, ultraclean, musical sound that’s easy to compare with those of DACs costing much more. Calyx’s DAC 24/192 is a beautifully built, elegantly styled digital-to-analog converter that sounded exceedingly neutral and utterly clean in my system. It’s also capable of very high resolution that’s just shy of the very best -- I wouldn’t hesitate to partner it with some of the finest equipment out there, regardless of price. But the Calyx’s lack of an incoming-sample-rate indicator and its short warranty are things that Digital & Analog should definitely address. But if such things don’t concern you and the DAC 24/192 pushes your visual and aural hot buttons, it’s well worth seeking out for both its appearance and its sound. The DAC marketplace is increasingly crowded and competitive; you might find that, compared to other high-performing DACs, the Calyx is something of a deal.